I've loved Vaughn from the first book. I'm so glad he got his own book. Hannah was a character that I've never really seen before in shifter books, a mix between witch and shifter. I loved that she just wanted to protect everyone, especially Vaughn. The story is still unwrapping itself and it just keeps getting better, I really can't wait to see where it goes. I'm not going to lie though, my favourite character is Frost and I really hope we see more of the strange little wolf in future books. My favorite character goes to Frost, who isn't a narrator. Runner-ups, the two tikes who shifted into wolves. Adorable. Touch of Sky is the second installment of the Mated by Fate series, and I don't believe it is a good idea to read it as a standalone, as there are common ties threading the series together. There would be too much confusion. I need to preface my review by stating the format is not my favorite, but it did not affect my overall rating. Why am I doing so? In case others read as I do, I'm giving them a heads up to decide if they wish to read the novel. When a novel has too many narrators, my ability to form an emotional connection is lessened. My other issue, seeing inside the bad guys' machinations removes all the mystery and suspense. It becomes how the reader knows everything and the main characters know nothing. I'd much rather have the mystery unveiled organically, learning beside the main characters, as this forms a connection between reader and characters. Also, and I'm not sure why, the only mystery I felt was via the main characters, where they purposefully withheld information from the reader, when we were literally inside their head. This made me feel as if they were unreliable narrators. With this format, as the reader, I knew too much about the bad guys and nothing from the main characters, whom I was supposed to be rooting for. Hannah was so locked down, even during inner musings, I never got to know her. It was hard for me to connect to Hannah and Vaughn's romance when they knew nothing of one another, other than how much they loved how the other looked or how it felt to be near one another. The lies, evasion, never opening up and truly connecting, for the sake of 'mystery' the reader already knew, formed a disconnect between me and the main characters and the main characters with one another. By the last quarter of the book, Hannah still hadn't told Vaughn her name yet – he just revealed his dual-natured wereanimals, and that was the perfect time for her to tell him she was also a shifter and a witch. Nope. I got frustrated with the purposeful withholding of information for the sake of mystery, a mystery the reader already knew, so therefore it was just frustrating, disconnecting, and a series of purposeful miscommunications. While I enjoy the series as a whole, enjoy what little I got to know of the characters, and look forward to what comes next, I am left feeling frustrated. Even with the threads of mystery/suspense, I tried to read the novel in a lighthearted nature, for the sake of romance that is not too deep, and not take it too seriously. 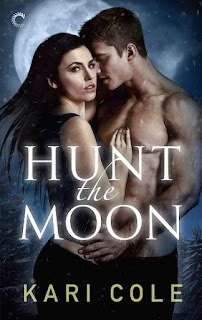 For reviews & more info, check out our Hunt the Moon post. Kari Cole is an award-winning author of paranormal romances. Her action-packed stories have earned several awards, including the Romance Writers of America’s Golden Heart®, the Kiss of Death’s Daphne du Maurier Award for Excellence in Mystery/Suspense, and the Toronto Romance Writers’ Catherine. Kari lives in upstate New York with her college sweetheart, two way-too-smart-for-their-own-good sons, and a ridiculous labradoodle named for the bravest of Star Wars heroes, Artoo. 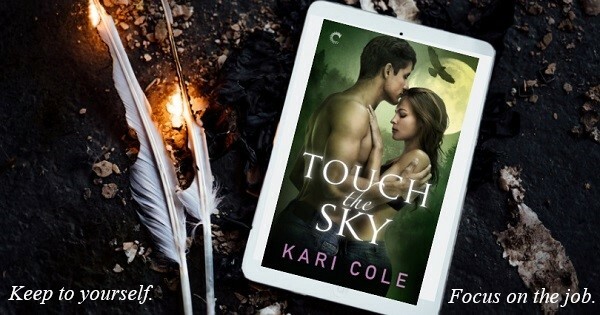 Reviewers on the Wicked Reads Review Team were provided a free copy of Touch the Sky (Mated by Fate #2) by Kari Cole to read and review.